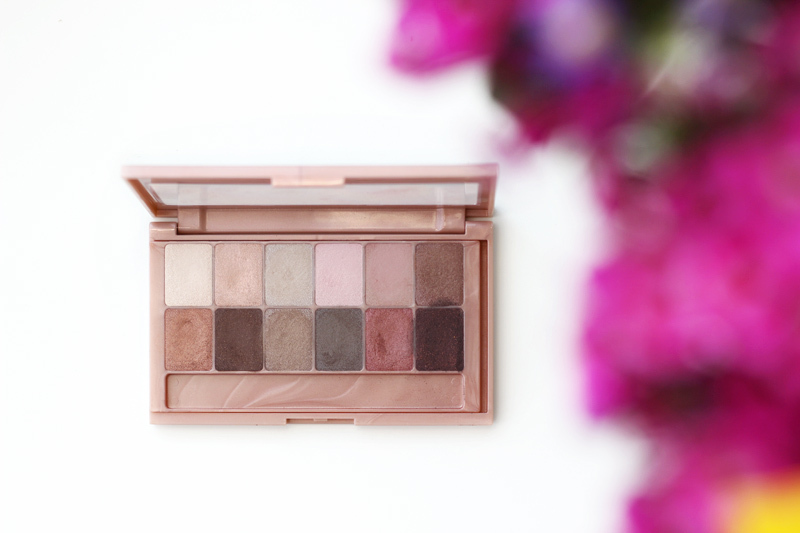 I have been meaning to publish this post about Maybelline's budget friendly The Blushed Nudes eyeshadow palette since forever, but I never got around to actually typing it all out. Here it (finally) goes though! I have been leaning more and more towards budget friendly makeup items lately. 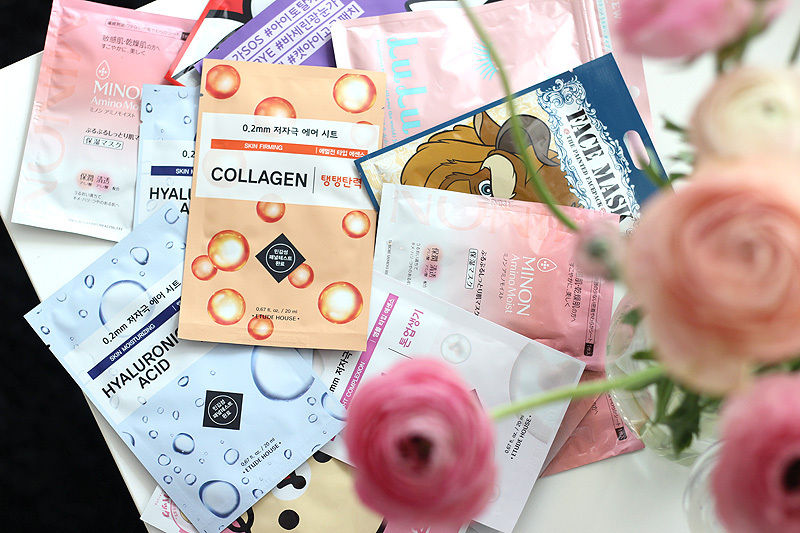 I still combine them with a few luxury favourites of course, but I can't help but feel a little strange about buying luxury items when I know there is a cheaper alternative out there that does pretty much the same job. This is definitely trial and error as there are cheaper alternatives that are just that (cheap) and are horrendous in quality. Luckily though, there are other competitors out there too. 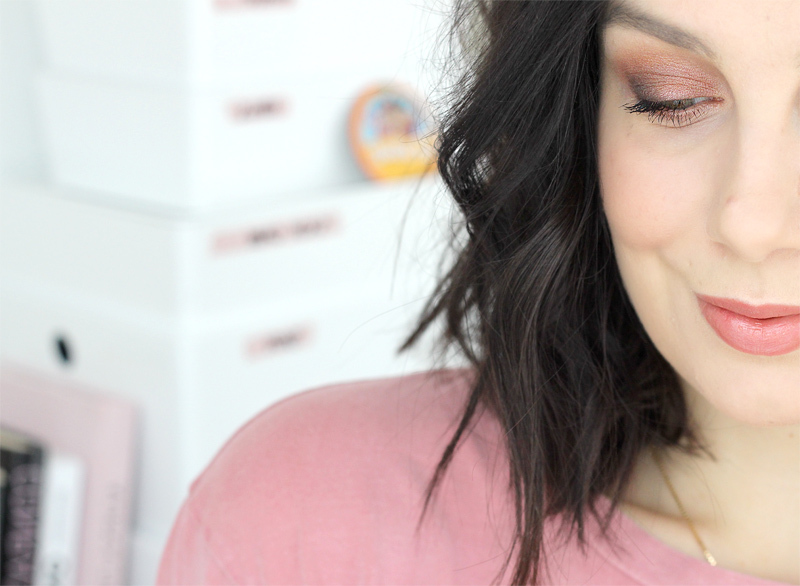 I do like Maybelline's Nudes palettes for example, I reviewed the original one here and liked it despite its mixed reviews. Rewind to two years ago when I was in the US, I spotted the The Blushed Nudes palette at an Ulta in New Jersey and hesitated to take it with me. Last year the palette finally also made its way here, so now there's all the more reason to check whether it lives up to the original. 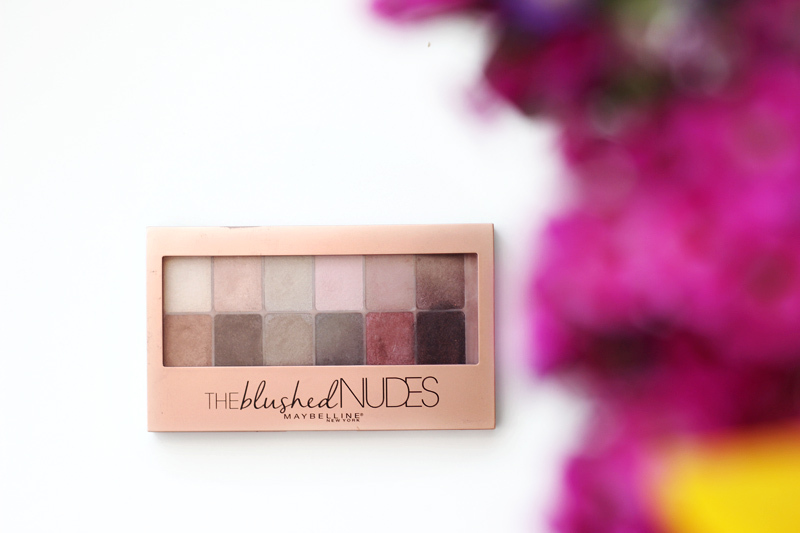 Let's cut straight to it: The Blushed Nudes is basically a more affordable alternative for Urban Decay's Naked 3 palette. 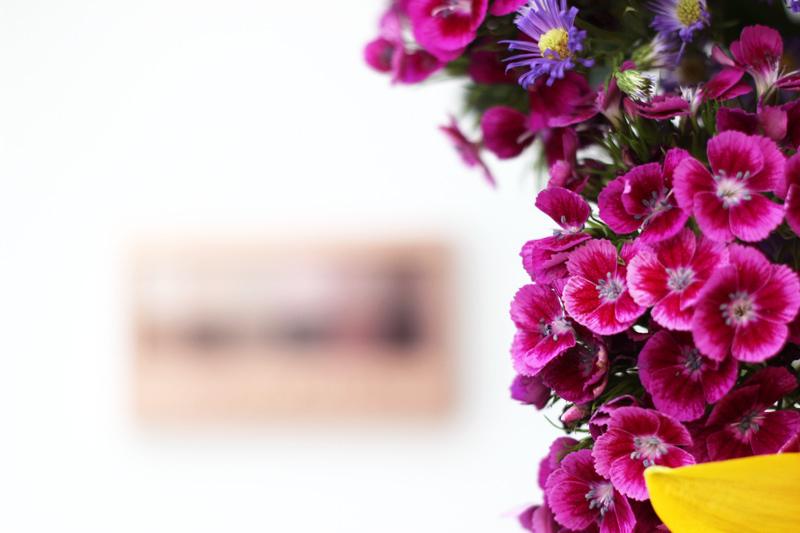 Of course not all shades are exactly the same, but you do get a very similar range of twelve rose tinted shades in both palettes. The biggest difference is definitely the pigmentation: Urban Decay's eyeshadows are much more pigmented and less powdery, which makes application quicker. However if you have some patience, you can make the shades in the The Blushed Nudes palette work just as well. Definitely use a good base, and you can wet your eyeshadow brush with some MAC Fix+, setting spray or just some water for more intensity too. The lightest shades in the top row definitely lack some pigmentation and need a couple of layers to be prominent enough. The bottom row though is spot on though: look at the depth of those colours! You'll also have noticed how all of these shades are shimmery - there is just one matte (the 5th shade in the top row), but it's not hugely pigmented. It can work as a crease colour, but if you're not too fond on overly shimmery eye looks you'll want to look out for some separate matte shades to pair with this palette. 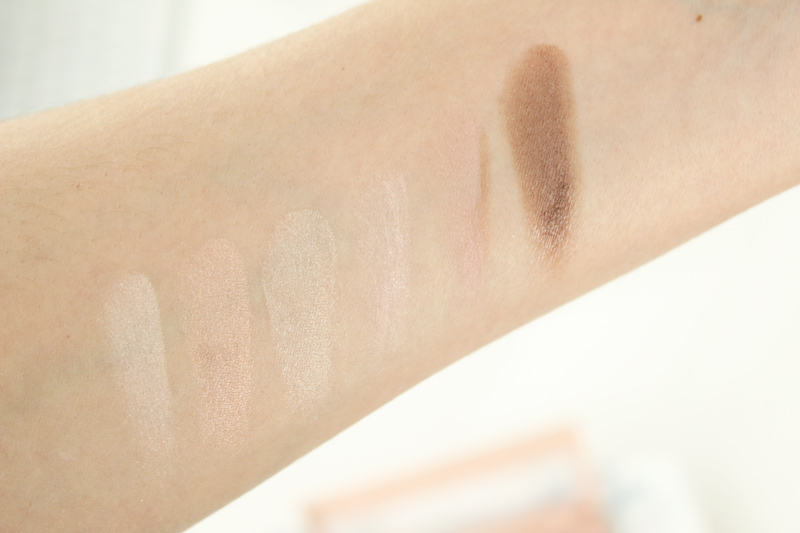 Also beware of some fallout with certain shades, so be sure to tap off your brush when dipping into these eyeshadows. The formula definitely isn't perfect, but you can work with it. 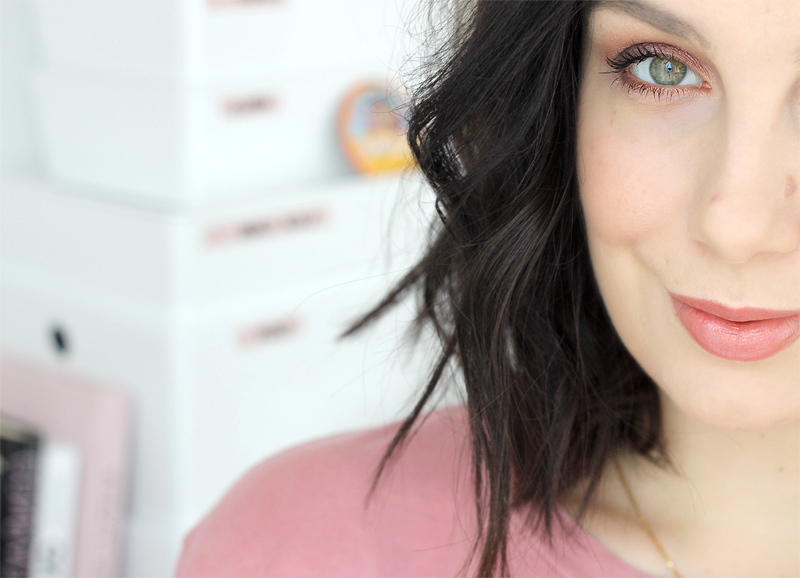 I have green eyes and love how the shades compliment them - these kind of colours make my eyes pop! I always use a base to make eyeshadows last longer and look more intense, although these do look just a little bit less vibrant at the end of the day. 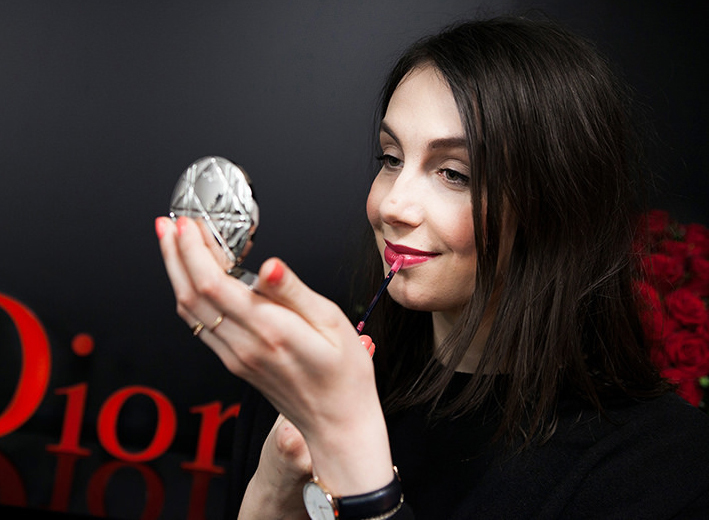 It's easy to apply a little more though - my trick is to add more of my crease shade in my crease for more depth - when needed if you want to take your look into the night. With the right brush (as you can see I threw way the brush they added to the palette - I never keep these kinds of applicators) these blend well and make for a very pretty rose gold eyeshadow look. 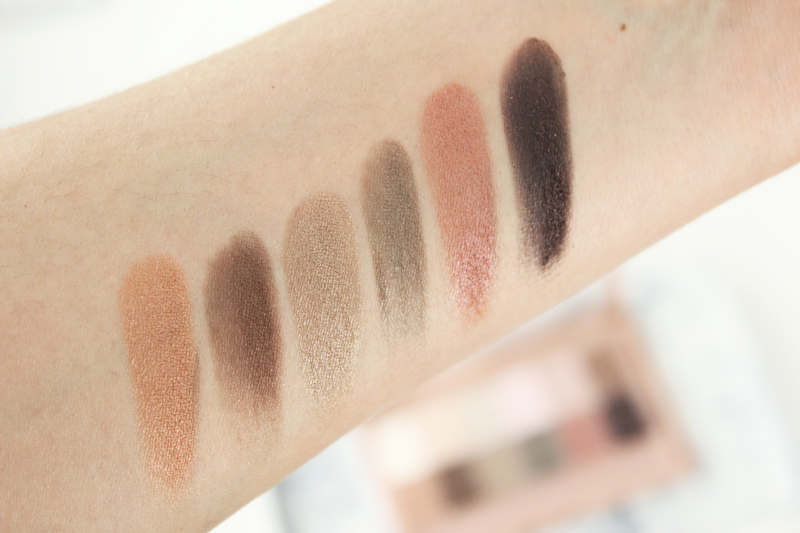 While the palette is not perfect - there is some fall-out and some shades could have been more pigmented, I feel like this is the perfect budget friendly palette to venture into these kinds of rosy shades without immediately feeling like you're splurging.